so when my user register in my website they do not get the confirmation email to activate them account..
i discover that my email are blocke because i use a mail server which is not server trusted.. So i was thinking to use sendinblue.com to be ok in sendig my confirmation email.. But i do not understa how to use them api and use them C# code to send the confirmation email via my website..
anyone who has already done this? I never used that but rather than trying to get in touch with someone who used it (which might be difficult), it should be relatively easy to get some help if you tell us which problem you have when trying. Also if the issue is that your mail server is an https://en.wikipedia.org/wiki/Open_mail_relay you may want to see with your IT guys or whatever to have this fixed. how do i install this using in my MVC website? 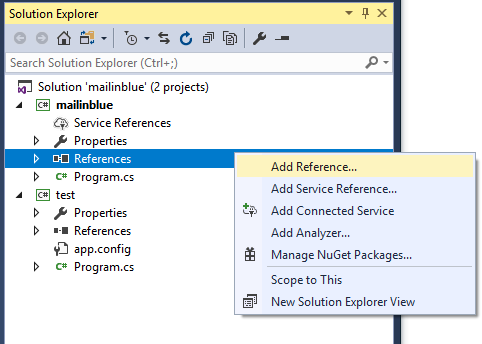 -- In Solution Explorer, right-click the Reference in your MVC project. -- Click the Browse... button in Reference Manager. 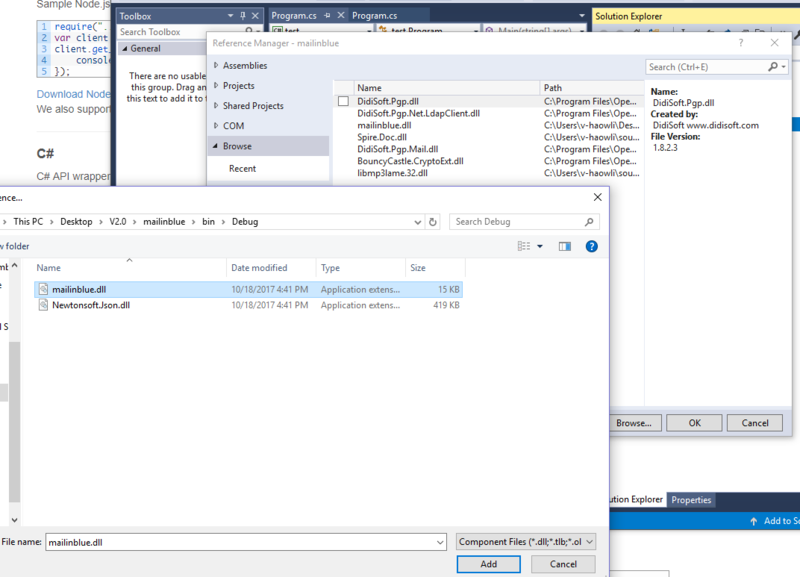 -- Find the mailinblue.dll you download and add it.